Callum Smith would consider a world title fight against Sergey Kovalev at light-heavyweight, if he does not secure a unification clash at super-middleweight. The WBA 'super' title holder ideally wants to face his fellow champions at 168lbs in his first fight of 2019, but Smith would also be willing to step up a division to battle a big name such as Kovalev. Having regained his WBO belt by defeating Eleider Alvarez in a rematch, the Russian has reasserted himself as one of the leading fighters in his weight class, emerging as another option for Smith in either Britain or America. There's a possibility, if no-one wants to dance with us at super-middleweight, that we'd move up and fight Kovalev. 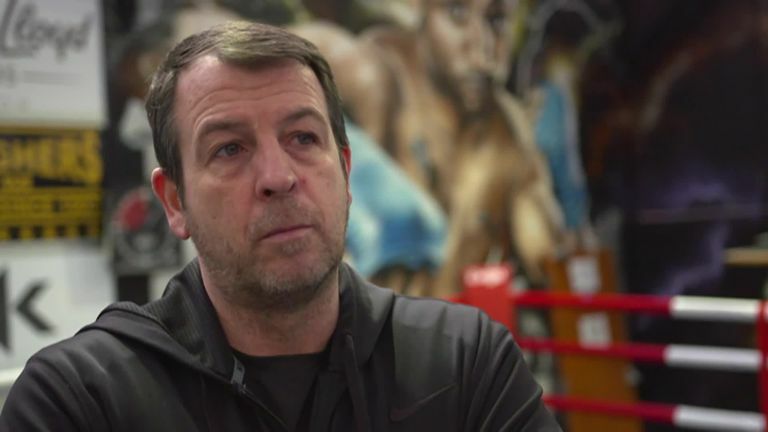 "The unification fights, that's what we want, that's what we've said to Eddie Hearn," said Smith's trainer and manager Joe Gallagher. "They're the big fights we want, and even with Kovalev winning at the weekend, there's a possibility if no one wants to dance with us at super-middleweight, that we'd move up and fight Kovalev. I think that would get everyone excited, but they're the type of fights we want for Callum Smith. "Callum Smith became the No 1 in the world, September last year. He's become a dad, he's back in the gym now and he's itching to get out. I'm wanting Callum to fight April, May time, whether that's here in the UK or in America. But we want the big fights, unification fights." After holding recent talks with Eddie Hearn, the unbeaten 28-year-old has already resumed training and wants to build on his career-best win over George Groves in the World Boxing Super Series final. "Now I'm getting back in the gym, and I had a meeting with Eddie last week which got me a little bit excited," Smith told Sky Sports. "Just speaking about certain opponents and venues and stuff. I've got the buzz back again and I'm at the point where I want to come to the gym, I want to train, I want to fight. "I'm ranked No 1 in the world, but I still believe I have to cement that, and prove that, and by doing that it's by beating some of the other champions, which is on the to do list."